“Over the Edge” is one of the most inspirational films in skydiving history, Produced, Directed and Filmed by legendary skydiving cinematographer Tom Sanders, “Over the Edge” is a masterpiece and a skydiving history. The film was shot in 16mm film motion picture film to produce the stunning image quality at that time. It was created at a time when small action cameras were not available, so capturing the action in a way it is captured was a real production challenge for the production team and all aerial and skydiving cinematographers. 16mm cameras can weigh up to 20lb were mounted in a way to capture various angles on the plane wings, on the skydivers bodies, helmets and many other places. 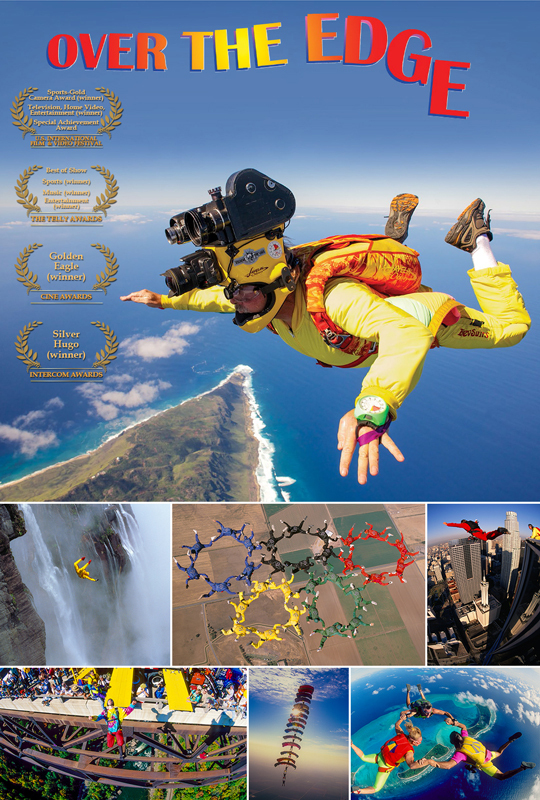 “Over the Edge” is also one of the most decorated films in the history of skydiving and early action adventure films featuring extreme sports and skydiving.